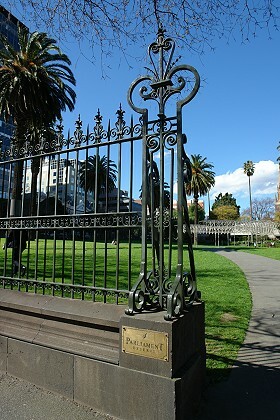 Parliament Gardens, beside Parliament House in Spring St, Melbourne, Victoria. 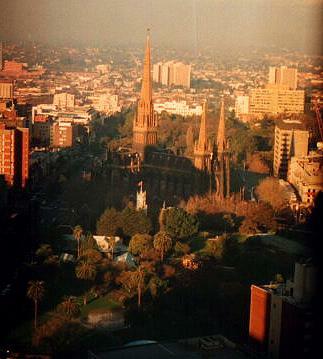 Parliament House sits on a small hill over the underground springs which gave Spring Street its name. Here on the night of August 21, 1836, Wurundjeri Aborigines performed to the white man for the first time their national dance 'Ngaregee'. The pavement mosaic features the Rainbow Serpent wallowing its tail symbolising the commencement and completion of the 'Another View' Walking Trail. It is an interpretation of the painting Ceremony (c. late 1890s) by William Barak the last headman of the Woiworung people. 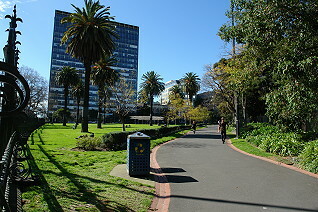 Parliament Gardens, also referred to as Parliament Reserve is a small corner of greenery at the top of Melbourne's central district. Getting there: 489 - 531 Albert St, East Melbourne. 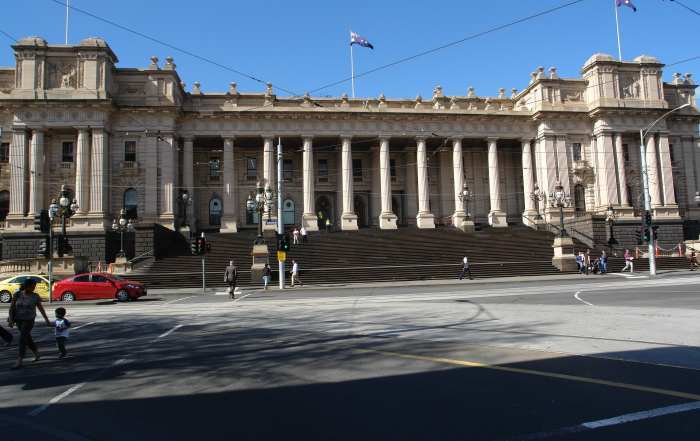 Walking distance from the top of Bourke Street or Collins Street, or step off the City Circle tram at the Treasury Buildings or Parliament Station on the City (rail) Loop.